Combine basil leaves and cane sugar into a Caipirinha glass (short) and add sparkling water. Mix ingredients lightly with pestle. 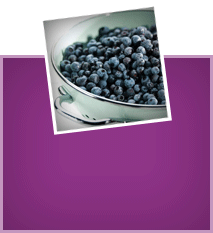 Add wild blueberries, crush and mix a second time. Fill the glass two-thirds full with crushed ice and add lime juice and rum and stir thoroughly. 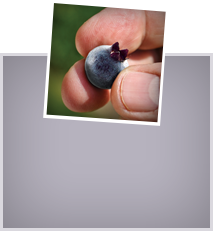 Thread wild blueberries onto a small skewer. 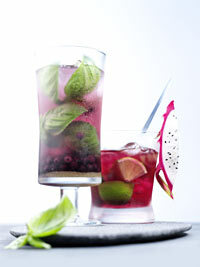 Decorate glass with wild blueberry swizzle stick and basil leaves if desired.